Libraries have existed for millennia, but today the library field is searching for solid footing in an increasingly fragmented (and increasingly digital) information environment. 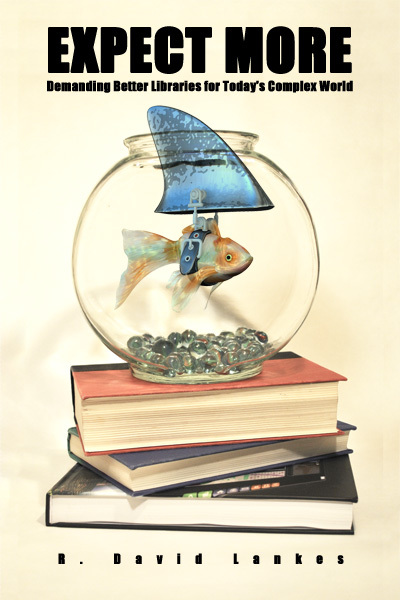 What is librarianship when it is unmoored from cataloging, books, buildings, and committees? 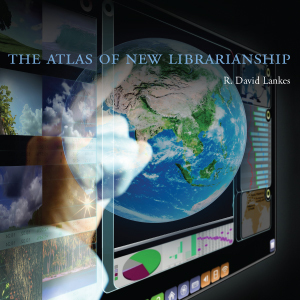 In The Atlas of New Librarianship, R. David Lankes offers a guide to this new landscape for practitioners. 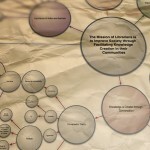 He describes a new librarianship based not on books and artifacts but on knowledge and learning; and he suggests a new mission for librarians: to improve society through facilitating knowledge creation in their communities. 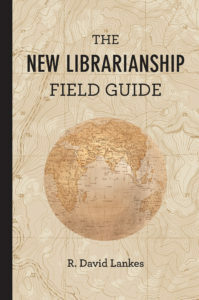 The vision for a new librarianship must go beyond finding library-related uses for information technology and the Internet; it must provide a durable foundation for the field. Lankes recasts librarianship and library practice using the fundamental concept that knowledge is created though conversation. New librarians approach their work as facilitators of conversation; they seek to enrich, capture, store, and disseminate the conversations of their communities. To help librarians navigate this new terrain, Lankes offers a map, a visual representation of the field that can guide explorations of it; more than 140 Agreements, statements about librarianship that range from relevant theories to examples of practice; and Threads, arrangements of Agreements to explain key ideas, covering such topics as conceptual foundations and skills and values. Agreement Supplements at the end of the book offer expanded discussions. Although it touches on theory as well as practice, theAtlas is meant to be a tool: textbook, conversation guide, platform for social networking, and call to action.